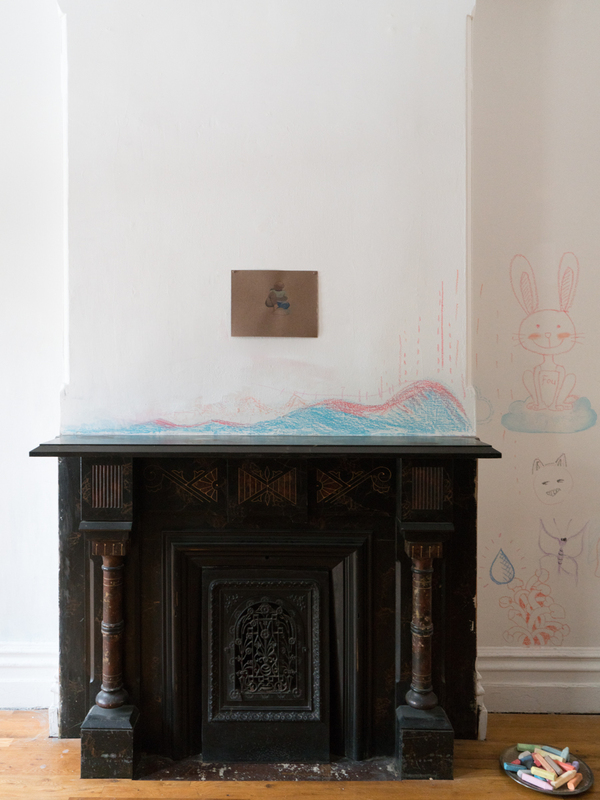 Zhai Liang: Living Room Installation view. Fou Gallery is pleased to announce the new exhibition Zhai Liang: Living Room, which will be on view from August 18 to October 9, 2016. 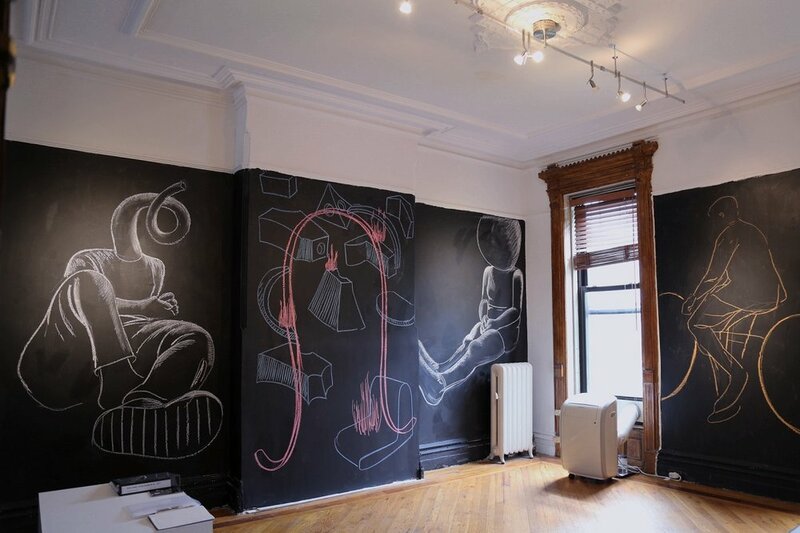 The gallery’s original white walls will be turned into large chalkboard murals by artist Zhai Liang on site at Fou Gallery. These works reveal the artist's thoughts and fantasies surrounding the interchangeability between public and private spaces. This will be Zhai Liang's second exhibition in New York. The opening reception will be held on August 18, 6 - 8 pm. 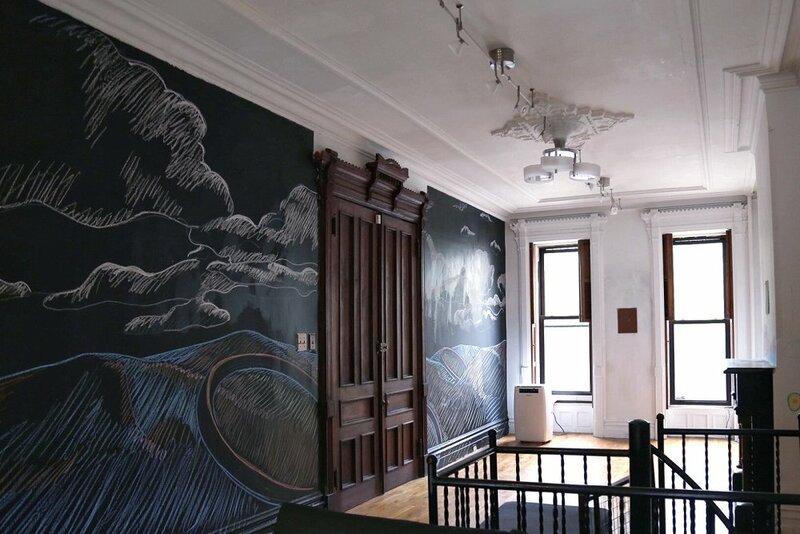 Fou Gallery is located in a Brooklyn brownstone building built in the 1910s. With the first floor used as a private residence, and the second floor as an exhibition space, the building retains its original architectural features, such as French shutters, plain-colored blinds, wooden floors, fireplaces, and classic crown-molding. In brownstone buildings, the original use of the second floor, was as the living room, sometimes referred to as the parlor room. Apart from the dining room, it was the most important place for social events, such as receiving guests, holding small indoor performances, and hosting salons. This exhibition aims to restore the original role of the "living room". 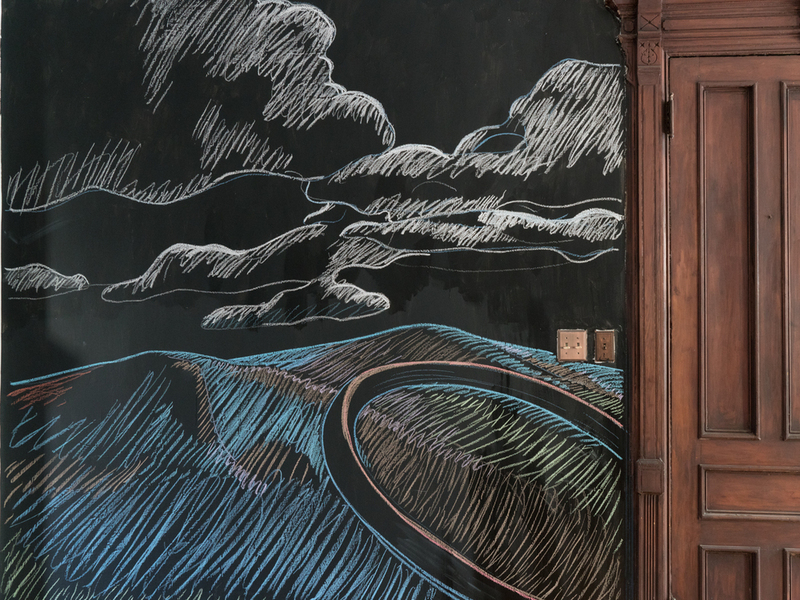 The gallery’s white walls, to which we are normally accustomed, are transformed into blackboards, that can be repeatedly drawn on and altered. During the exhibition, Fou Gallery plans to invite artists, musicians, dancers, cooks, and other creative people from all professions to re-imagine the "living room." These future activities will produce greater possibilities to enhance the exhibition, as they will continue to produce inspiration and add fuel to the creative engine. Read the full press release click here.